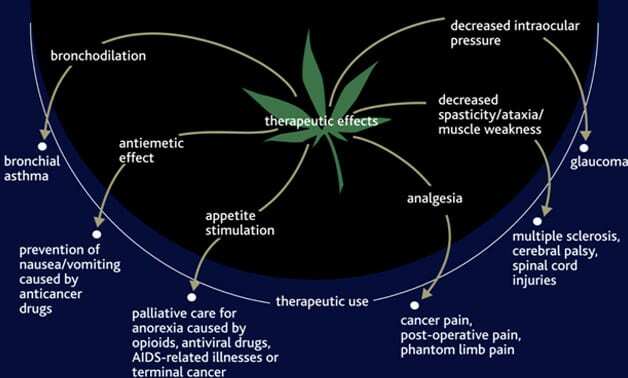 Medical Cannabis has many therapeutic benefits and can provide an alternative for patients with chronic pain conditions and spasticity. MUST be a Connecticut resident with a Photo ID. MUST have medical records re: qualifying condition forwarded or faxed by referring physician to our office. Confirm that we have received medical records, BEFORE you show for your scheduled appointment. First-time visits take approximately 45 minutes and patients are advised to come in at least 15 minutes early to complete onsite registration forms. It is important to bring in a photo ID to the first visit with any insurance information. The program, process, and next steps will all be explained by Dr. Prywes, along with answers to any questions patients may have. The initial medical consultation may be covered by your insurance plan. However, the annual medical registration fee is $150, and the State of Connecticut registration fee is $100, and these fees are not covered by any medical insurance. It is essential that all registered patients are seen in our office for medical follow-up within 3-6 months after obtaining their CT Medical Marijuana Program (MMP) card from the CT DCP. This visit may be covered by health care insurance. However, if no health care insurance is provided, the follow-up fee is $75. Thereafter, depending on the clinical condition and needs, patients may be seen for follow-up by their PCP, or referring physician, prior to the patient’s annual renewal visit. Patients are certified for one calendar year in the CT Medical Marijuana program, and subject to an annual medical re-certification and $150 fee. It is recommended that patients re-certify one month prior to their card’s expiration date to be sure there is no lapse in access to the dispensary.